Please use the Form below for your reservation. Upon receipt of your reservation we will confirm your booking via email or give you a courtesy call. We wish to make your dining experience enjoyable and memorable. What's 8 added to 1 ? 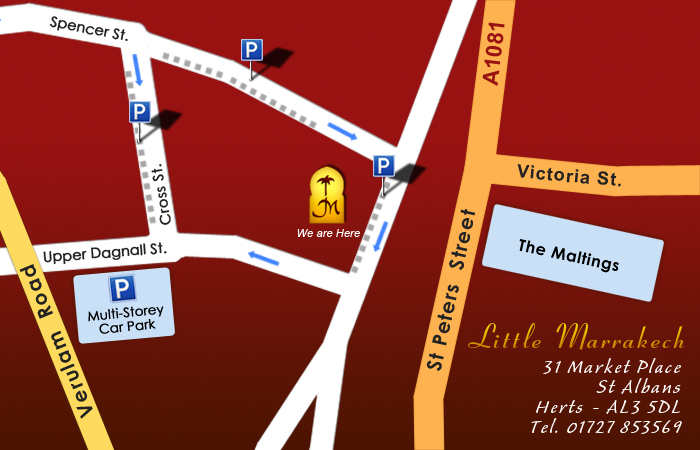 Please keep me informed with offers and updates from Little Marrakech restaurant.